Nahum, Habakkuk, Zephaniah, Haggai, Zechariah, and Malachi. Discover what the Bible says in the minor prophets. With this book, readers will gain an in-depth understanding of the books of Nahum, Habakkuk, Zephaniah, Haggai, Zechariah, and Malachi. The book also contains study notes and questions for insight and reflection. Minor Prophets 2 - The Navigators by Navpress was published by NavPress in June 2014 and is our 12556th best seller. The ISBN for Minor Prophets 2 - The Navigators is 9781612915500. Be the first to review Minor Prophets 2 - The Navigators! Got a question? No problem! 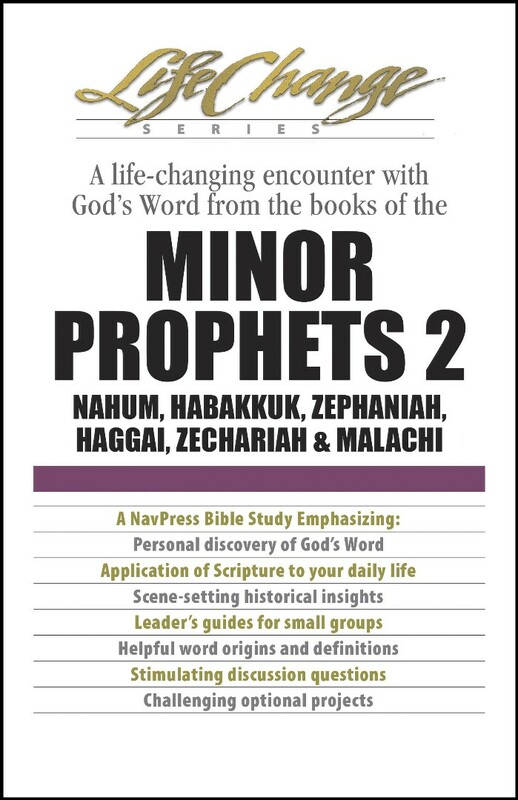 Just click here to ask us about Minor Prophets 2 - The Navigators.